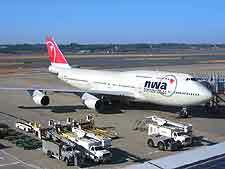 Tokyo's Narita International Airport provides an all air travel service to nearby Yokohama and is often extremely busy. The city is also at the centre of Japan's incredible train network, and long-distance coach transport picks up the remaining slack. Driving to Yokohama is relatively easy thanks to several major expressways, which travel right through the city. International flights into Yokohama arrive at the neighbouring Narita International Airport, which is well-equipped to handle air traffic for Tokyo and the surrounding region. 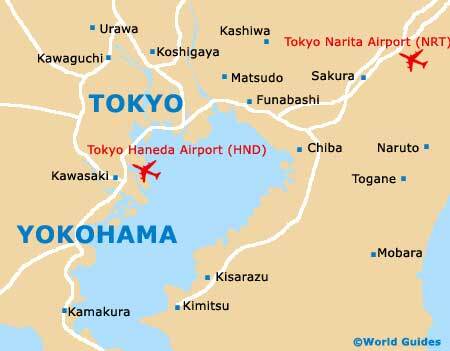 Visitors flying domestically will probably arrive at Haneda Airport, also just outside Tokyo. The two terminals of Narita Airport handle separate airlines from different global regions, and are connected by regular shuttle bus transport. Both terminals have a full range of passenger facilities, and any questions can be answered at information desks in the arrivals and departures areas (tel: +81 0476 322 802). 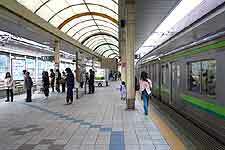 Transportation to Yokohama is straightforward and convenient thanks to Japan's wonderful transport network. The Airport Limousine Bus offers the easiest way to travel to Yokohama, and will drop you off right at your downtown hotel in about two hours. These buses depart every hour from outside the arrivals halls of both terminals. The JR Narita Express train offers the fastest way to travel to Yokohama, departing right from the terminals and arriving at the central Yokohama Station, which is the hub for all city travel. If you plan to rent a car, there are several car hire transport firms with offices in the arrivals areas of both terminals. Driving to Yokohama is simply a matter of getting onto the expressway and pointing your car in the right direction. Though you may not need a car to explore Yokohama, driving yourself is an excellent way to leisurely explore the countryside. Driving in Japan is a safe, easy and convenient way to travel, due to the well-signed expressways and roads in English. The Japanese are typically considered skilled and courteous drivers. You must have an International Driving License to rent or drive a car in Yokohama, and insurance is also required. Car rental kiosks are located in both terminals in Arrivals at Narita International Airport. 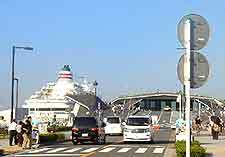 Book your Yokohama (Kanagawa) Car Rental here. JR Highway buses are the best way to travel between cities in Japan. Dozens of long-distance coaches arrive daily at the central Yokohama Station. The public bus system in Yokohama is easy to use and this popular mode of transport allows you to travel to every tourist attraction in the city. There is even a special tourist bus called the Akai Kutsu, which does a continual loop past many of the top sites and offers onboard tourist information. Yokohama is well-connected to the rest of Japan by modern train transport. 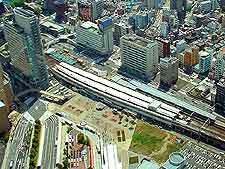 Rail service into the city is provided by JR East, Sagami Railway and Keikyuj Railway, with all trains arriving and departing at Yokohama Station. The city's metro system offers a fast and convenient way to travel around from district to district. There are more than 30 metro train stations in total within Yokohama, covering just about every major tourist site in the city. Plenty of English signage makes travelling by train easy. There is a seemingly endless supply of taxi transport in Yokohama. When using taxis to travel around the city, you will find that whilst taxis all offer fixed fares, they are a little more expensive than public transport. Local taxi drivers are safe and courteous in Yokohama. The one quirky thing about the cabs is that the back doors open automatically for passengers. This may startle first-time riders, so step back a little and watch the genius of Japanese technology at work.